Posted October 4th, 2016 by pat.burke & filed under Blog, Upcoming Events. Some common macro outlines. Which are you? Image courtesy www.bodybuilding.com. Get a kickstart on your metabolism with our macro based (not strictly paleo) diet. Includes meal plans and recipes for different body types/goals. Learn the benefits of carb cycling. Easy for couples/families to do together. Pre/post pics and weigh in’s encouraged, but not mandatory. Kick off meeting – Monday, October 10th, 6:15pm @ the hangar. *Shred participants will get 10% off protein sold in MBS store. Email frontdesk@mbscrossfit.com for info. Upon registering, you will be emailed the 15-day packet with additional details, recipes, and more. $30- Price includes all hands-on training, class instruction, use of manikins, Heimlich maneuver, practice shield and a 2-year certification card printed on site. Open to all MBS members. Please e-mail heather@mbscrossfit.Com to reserve your spot. Annual Breast Cancer Awareness WOD at MBS!!! Posted September 30th, 2016 by pat.burke & filed under Blog, Upcoming Events. Bring a Friend & Breast Cancer Awareness WOD Friday October 7th! All Day…All Classes…Both Locations!!!! Last year we were featured on 9 NEWS!!! Happy October- National Breast Cancer Awareness month!!! Posted in Blog, Upcoming Events	| Comments Off on Annual Breast Cancer Awareness WOD at MBS!!! Posted September 21st, 2016 by pat.burke & filed under Blog, Coaches Corner, Upcoming Events. 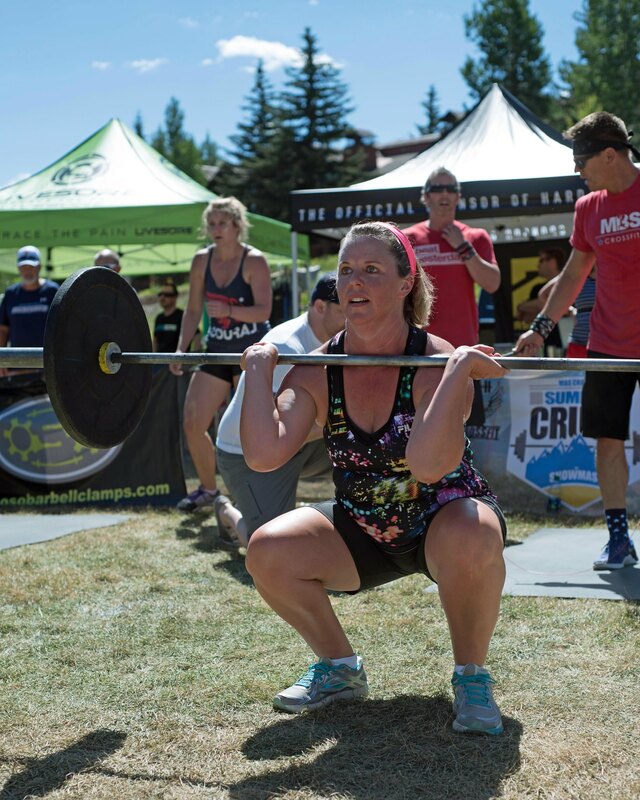 Posted in Blog, Coaches Corner, Upcoming Events	| Comments Off on 3 Upcoming Weightlifting Clinics! Turkey Challenge Registration Opens Today! Posted September 18th, 2016 by pat.burke & filed under Blog, Upcoming Events. One of my favorite pics from the Turkey Challenge..It just looks awesome! Do. Not. Delay. Each year at registration, we have sold out very fast, especially with the team registration. Today at 9am, our team registration will go LIVE. Tomorrow at 9am our individual registration will go LIVE. We’re excited to deliver this competition in a new spot at Unser Kart Racing (1-25 and Hwy 36). It’s a large venue and we have a ton of sponsors and partners helping us put together a great event. Posted in Blog, Upcoming Events	| Comments Off on Turkey Challenge Registration Opens Today! Update to In House Comp – Age divisions! Posted August 16th, 2016 by pat.burke & filed under Blog, Upcoming Events. Dawn and her team at the Summer Crush at Snowmass. After rolling this over in my head numerous times, I felt that something was missing with our previous idea of having a standard “Rx” and “Scaled” competition. What I felt was missing, and that I want to have FUN with, is the celebration, camaraderie, and competition between our various age groups at MBS! We are not your standard CF gym with tons of college kids running around. We’ve always noticed that our demographic is very broad and we actually have a bit of an ‘older’ (aka cooler) group here at MBS. So, let’s play to that…let’s call each other out and see where we stand within our division…for fun of course! Ok, so I made this change. Maybe in future years when we get a bunch more people signing up, we can break out the teens and 60+ categories, but for now I think this will break our group up quite well and we’ll get to see how everyone stacks and have a good time. And, the next update is Workout #2 announcement! WOD 1 – CrossFit Total (please read this article, as it explains the lifts and the rules). We are using Sinclaire method of scoring, which bases your Total score on bodyweight. So, if you’re strong for your size, you are going to be well off! Scaled – Do 115/775 lb. power clean, 50 singles, and jumping pullups. This workout is being done in conjunction with the Lift Up Autism fundraiser that a ton of other CF gyms are doing on the same day. If you want to donate to that cause and get a sweet t-shirt, you can sign up HERE and say you’re participating at MBS CrossFit. We will also have a donation jar at the gym on the day of the event and be making a group donation. 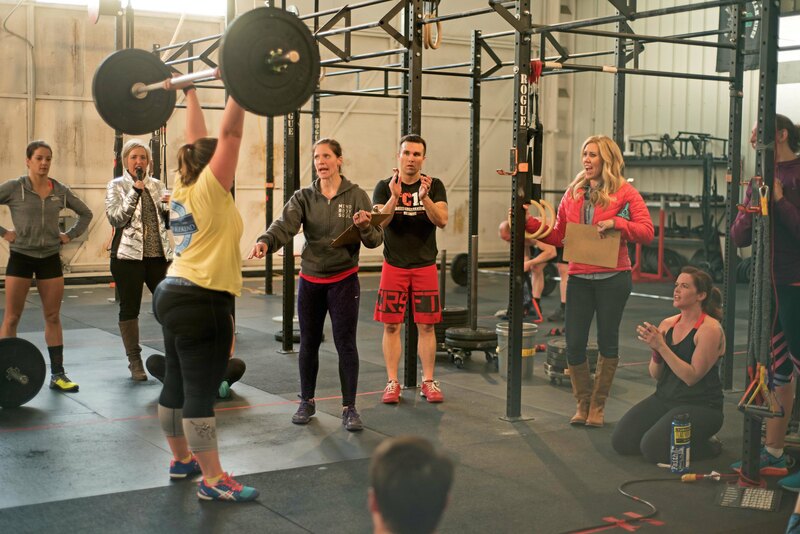 WOD 3 is still to be announced…stay tuned for that. Cost for our in house comp is $35 and includes shirt and prizes for the winners. If you want to donate to the Lift Up Autism event as well, you can go here to get shirt and/or donate, or you can just bring a donation to the gym on the day of our event. Here’s our link to sign up on Zen Planner… REGISTER HERE. You must register by the 26th to get a shirt! Posted in Blog, Upcoming Events	| Comments Off on Update to In House Comp – Age divisions! Posted August 5th, 2016 by pat.burke & filed under Blog, Upcoming Events. The 20-bar Deadlift Ladder at the 2013 Turkey Challenge. The 7th annual MBS CrossFit Turkey Challenge is drawing near. Registration is planned to open Thursday and Friday, September 19th & 20th for teams and individuals. If you’ve been around, you know it sells out quickly….The competition is on November 18-20th. As in year’s past, we will have Pro and Open Individuals and Teams. The Pro spots are limited, and it’s generally required that all athletes can do muscle ups, HSPU’s, and heavier weights…including all athletes of the team (see last year’s load list). Last year we had a master’s team division kick things off for us on Friday night. We are considering doing it again and would love to hear your feedback if that and/or a teens division would be something worth giving a shot?? Possibility of moving the location??? We are considering moving the venue from it’s home of the last 6 years at the hangar, to larger venue that will offer us some protection from the weather and convenience to our MBS family that is left picking up the mess after every year’s competition. Don’t worry though…the TC will never lose that “original grit” sort of feeling that we’ve always had and makes our competition unique. We will still rock some awesome programming that is sure to test the mental and physical limits of our competitors. This year, Nutriforce Sports, changed ownership and we lost our commitment with them to the TC in the process. We are currently looking for Title Sponsorship of the event, which helps fund our Pro athletes purse. We hope to have awesome news for any athletes gunning for top spots. There you have it…first post of 2016 for the TC. Registration is 6 weeks away. Ready your teams and rally your gym for another awesome year. Posted August 2nd, 2016 by pat.burke & filed under Blog, Upcoming Events. Community spirit at it’s best during our Friday Night Lights in house comp last winter. What: Individual competition. Age category divisions (see below for further clarification). Competition will test 3 workouts: CrossFit Total, a 5-10 minute traditional CF chipper, and a third workout to round out the testing. Registration is $35 and includes a t-shirt. Posted in Blog, Upcoming Events	| Comments Off on MBS In-House Competition! Posted July 25th, 2016 by pat.burke & filed under Blog, Upcoming Events. The first seminar of the Mind Body Series at MBS CrossFit is an Introduction to Meditation. Many people have misconceptions on what it is to meditate, when in fact it is a simple brain training technique we can use to transform our lives. You will learn what exactly meditation is, the many emotional, health and performance benefits, as well as how to apply it to our lives. Shelby brings years of experience in mindfulness meditation as well as many different applications. If you’re looking for emotional stability, stress management, or that extra edge for peak performance and optimal health we invite you to join. There will be a guided meditation so bring something to sit on like a blanket or pillow and wear comfortable, non distracting clothing. BBQ & CrossFit Games Watching Party!!! Posted July 21st, 2016 by pat.burke & filed under Blog, Upcoming Events. Posted in Blog, Upcoming Events	| Comments Off on BBQ & CrossFit Games Watching Party!! !